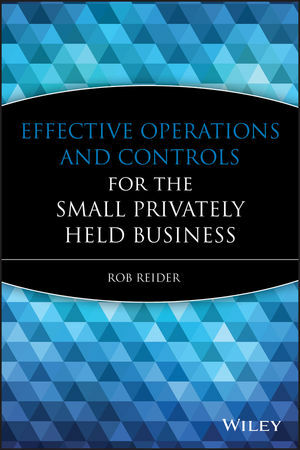 "Rob Reider is the ultimate 'on-target' consultant to the small business. Whether you are just starting out or have been in a small business for years, this book is a must-read. It is concise, clear, organized and addresses the management, financial, and personnel issues that confront and often destroy small business--eighty percent of all the businesses in America." "Dr. Reider's emphasis on first understanding the small business environment and then identifying and integrating individual business goals addresses a critical entry point for new business owners. His detailed advice around realistic issues emphasizes a solutions-based orientation that provides even the novice with keys to successful business practices." "Rob Reider is an experienced consultant, seminar facilitator, and author who has written an important book for small business owners and managers. The topics included are relevant to privately owned business managers who consider their organizations to be 'small businesses' regardless of their actual sales volume. This is a book that should be on the bookshelf of every businessperson with responsibility for the management of a small privately owned business." "(This book) is an excellent resource not just for the small business owner, but also for colleges and universities. Any higher education institution that has a business program entrepreneurial component will find this book invaluable." Rob Reider, CPA, MBA, PhD, is the President of Reider Associates, a management and organizational consulting firm. His area of expertise encompasses planning, managerial, and administrative systems and methods; data processing; financial and accounting procedures and controls; organizational behavior and theory; management advisory services; management information and control techniques; management training; and staff development. He is also a frequent commentator on the monthly educational videotape programs produced by primedia Workplace Learning, including The CPA Report, Governmental A&A Specialist, and the Accounting and Financial Managers Report. Chapter 1. Understanding The Small Business Environment. Why the Small Business Is In Existence. Businesses the Small Business Is Not In. Operating Areas to be Addressed. Overview of the Strategy Development Process. Mental Models and Belief Systems. Chapter 3. Planning And Budgeting: Identifying The Right Direction And Staying On The Path. Relationship Between the Planning and Budgeting Process. Developing and Monitoring the Budget. Chapter 4. Customer Service: Improving Customer Service. Golden Rule of Customer Service. Looking at Customer Service from a Fresh Perspective. Tips for Watching Out for Traps. Making that Great Customer Service Last: Keep the Romance in the Relationship. Purpose of the Sales Function. Sales Function in Business for Itself. Sales Information and Reporting Systems. 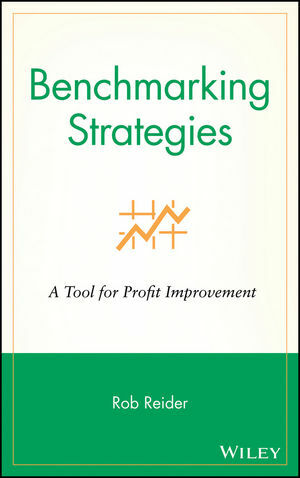 Performing the Sales Function Analysis. Cost Reduction Analysis: Traditional Versus ABC. Chapter 8. Accounting Operations: Functional Considerations. Chapter 9. Operational Reporting Considerations. Financial and Operating Ratio Analysis. Chapter 10. Internal Controls For The Small Business. Internal Controls as Best Practices. How To Segregate Duties (at a Work or Activity Unit level). Internal Control Review: The 12-Step Program. Effective Controls by Type of Business. Chapter 11. Information Technology Control Considerations. Common Small Business IT Control Weaknesses. Chapter 12. Organization Structure And The Role Of Management. Building the Small Business Organizations Structure.